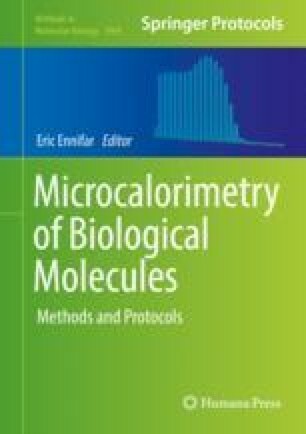 Differential scanning calorimetry (DSC) is a well-established technique for biomolecular stability studies. The technique is based on forced thermal denaturation of biomolecules in solution. Here we describe the use of DSC for characterization and optimization of stability of two proteins, a protein kinase and a mAb protein. The Sprint Bioscience AB (Huddinge, Sweden) is acknowledged for providing constructs of protein kinase.